A little over a decade ago, I went on a Dean Koontz reading binge. I read at least ten or eleven of his novels and I couldn’t get enough of them at that time. However, my reading tastes has changed quite a bit over the years and I really didn’t have a desire to go back re-read any of his books. Well, I looked on my bookshelf a couple of weeks ago and saw I had a copy of Cold Fire. 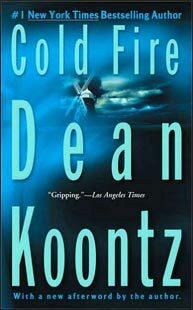 I must admit that Cold Fire is the one Koontz novel I have kept on my bookshelf since that reading binge. I don’t have a reason why I’ve kept that novel. But it was still there and I decided to give it a second reading. Cold Fire is the story of Jim Ironheart, a mysterious man who has a supernatural ability to save random strangers from perilous life-altering events. As a result, Jim has become an unlikely superhero. One of his missions to Portland, Oregon, he has a chance encounter with Holly Thorne. She’s a local reporter that was interviewing a teacher who recently published a book of poetry. Upon leaving the school, Holly sees Jim rescues a student from being hit by a truck. Jim treats the episode like a policeman or firefighter doing their job and Holly is taken by his modesty and self-effacing persona. Afterwards, she decides to use her journalistic skills and track down this modern-day superhero. Holly’s investigation into his background leads her to travel to Southern California and ends up becoming a part one of his missions. By the end of that mission, Holly is convinced there is a lot more to discover about Ironheart. Eventually, Holly persuades Jim to explore his past in order to find out about his supernatural ability and that’s where the painful memories of childhood, family abandonment, and the ability of books to create your own world comes into view. By the end of novel, Jim faces up to those issues and learns where his gift actually came from. Koontz’s strengths as a page-turning storyteller were on full display in Cold Fire. He is a master at creating suspenseful scenes that makes you want to keep reading. Also, Koontz has the ability to combine science fiction, fantasy, suspense/thriller, horror, and even aspects of spirituality into a genre gumbo of best-selling commercial fiction. In this aspect, Koontz is similar to the musician, Sting. Both men in their respective fields have taken various genres like a master chef would for a meal and use the right ingredients from each genre to create popular art that is uniquely their own. After reading it for the second time, Cold Fire holds up surprisingly well. 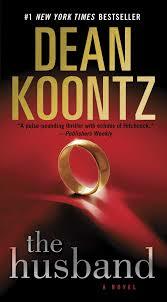 It will be the one Koontz novel that remains on my bookshelf.